Disappearance 23, will be in the exhibition, A Show of Hands, at A1 LabArts Gallery in Knoxville TN. Thank you Adam Finkelston and James Meara for inviting me to participate in this incredible exhibition!! 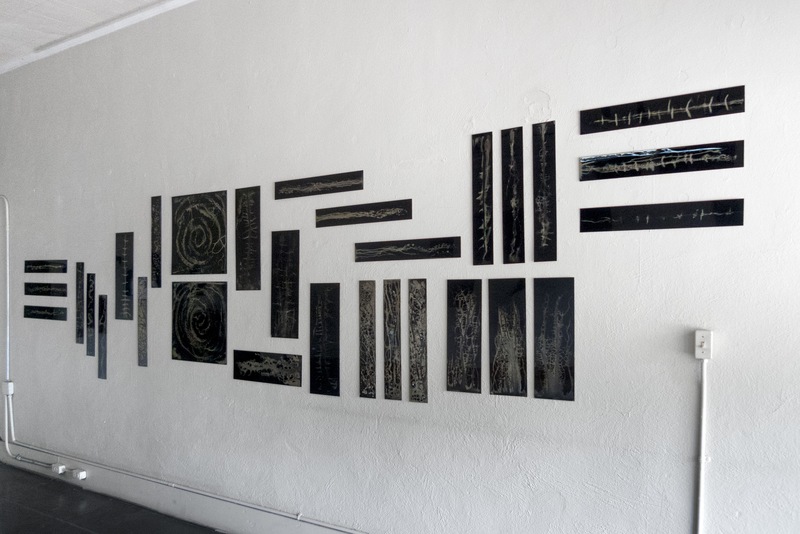 I am honored to be invited by curator Nancy Gifford to exhibit part of my new series, Nidification. 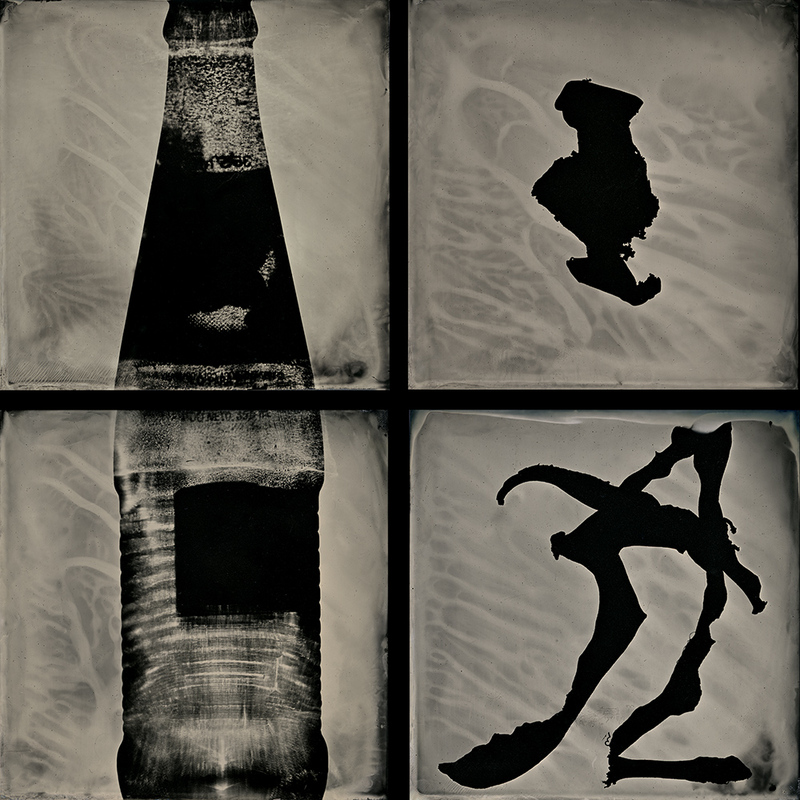 64 five inch collodion plates in an 8x8 grid will be exhibited in the nest room. The entire series will be 200 plates of the 100 nests I have collected on my walks in Downers Grove, IL and in Pass Christian, Mississippi . 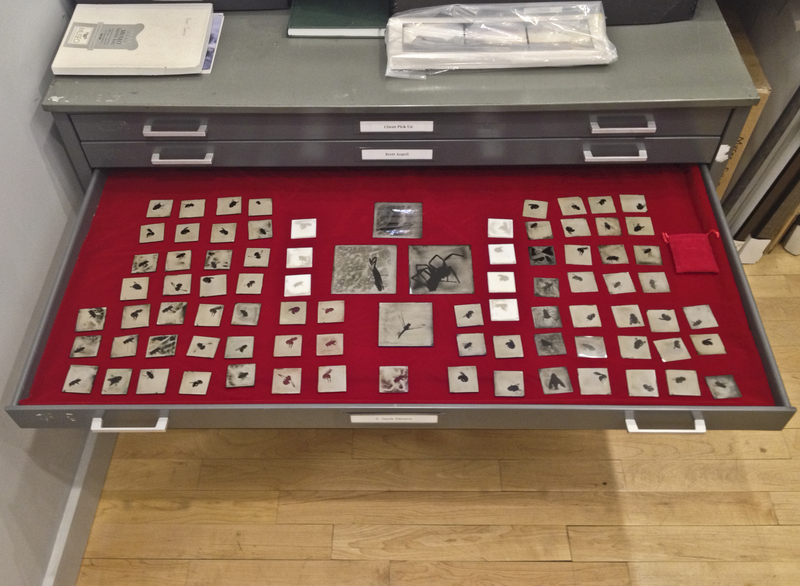 Presently I have shot 186 plates and for you analogue techies with an 1880's dry plate camera with a bookform plate holder temporarily modified to 5x5 and a Voigtlander Euryscop IV lens. 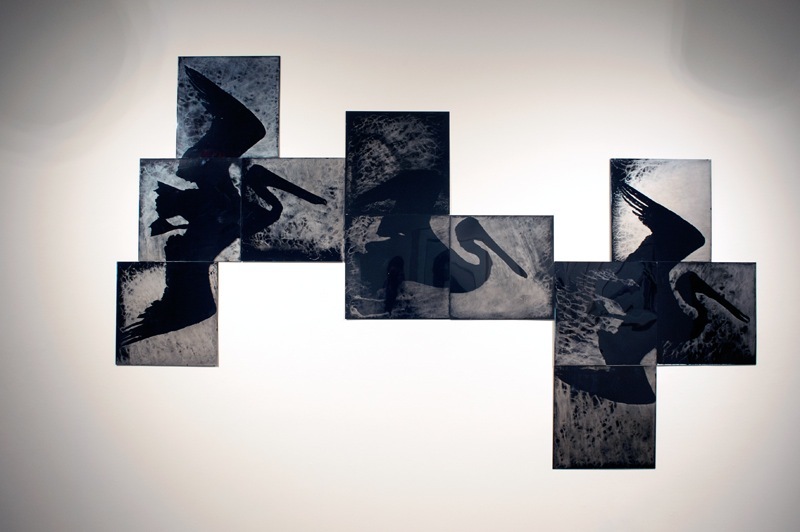 AfterImage MCAD Gallery an Alternative Photography exhibition curated by Nathan Lewis. The Posse returned to Slow Exposures! 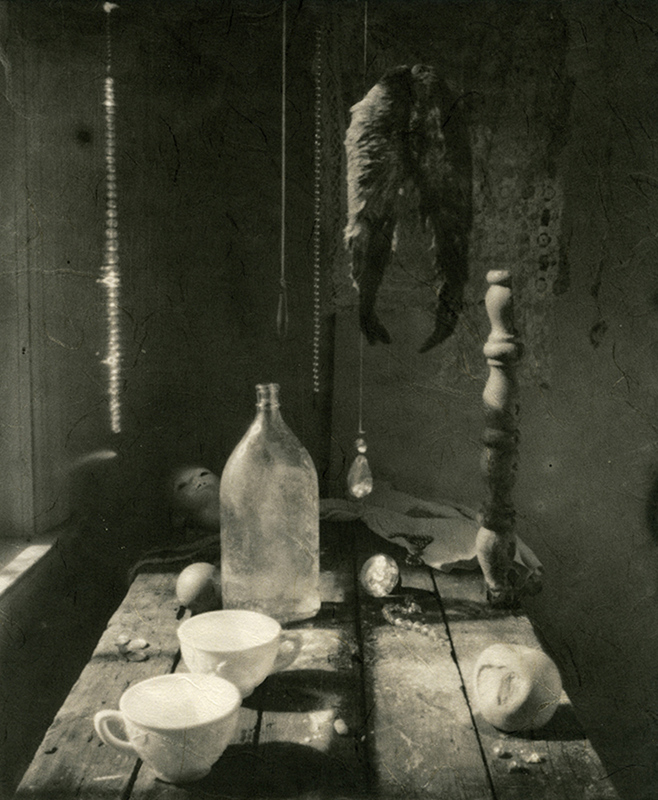 Time, Place and Eternity: Flannery O'Connor and the Craft of Photography. Bourbon, Beer and Boiled Peanuts!! opening reception Saturday September 6th 5:30-8 pm. 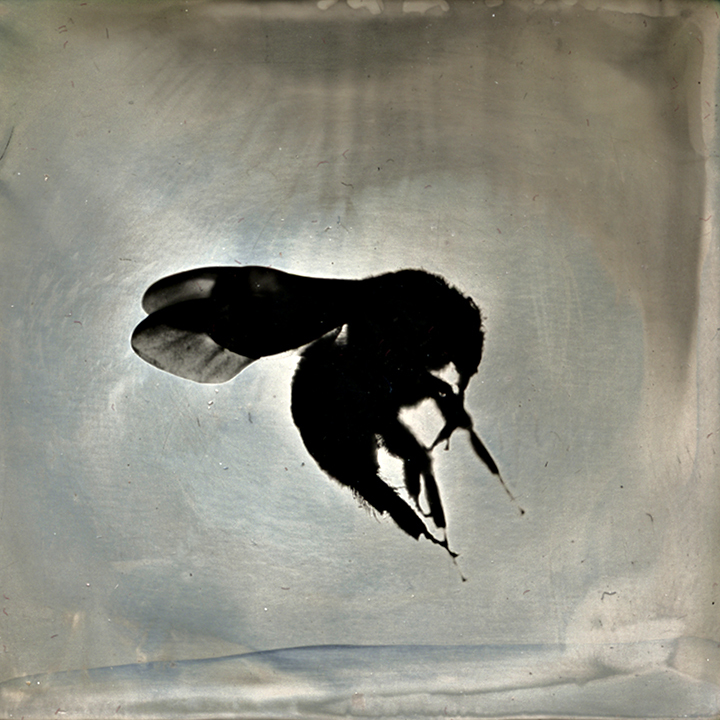 disappearance-swarm, 100 two inch wet plate collodion tintype photograms of bees. 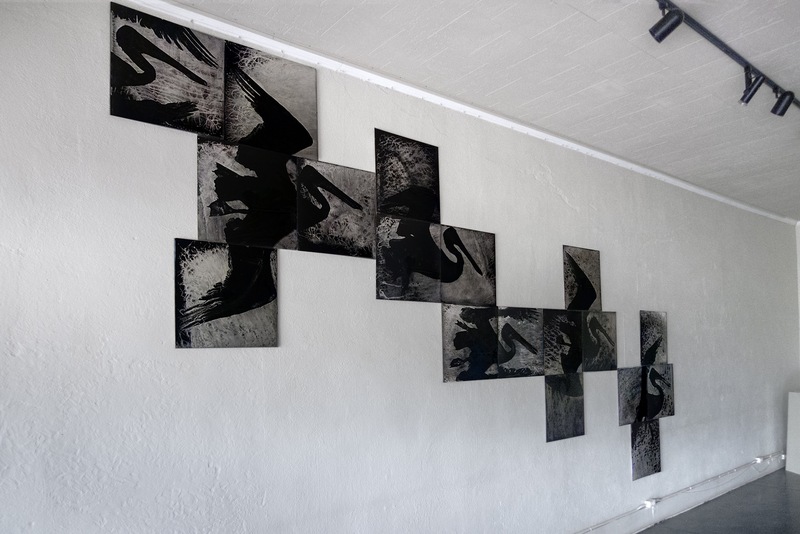 And here are images from my solo show Disappearance at Wiljax Gallery in Cleveland MS. This exhibit will be up till August 29th, no excuse not to visit! 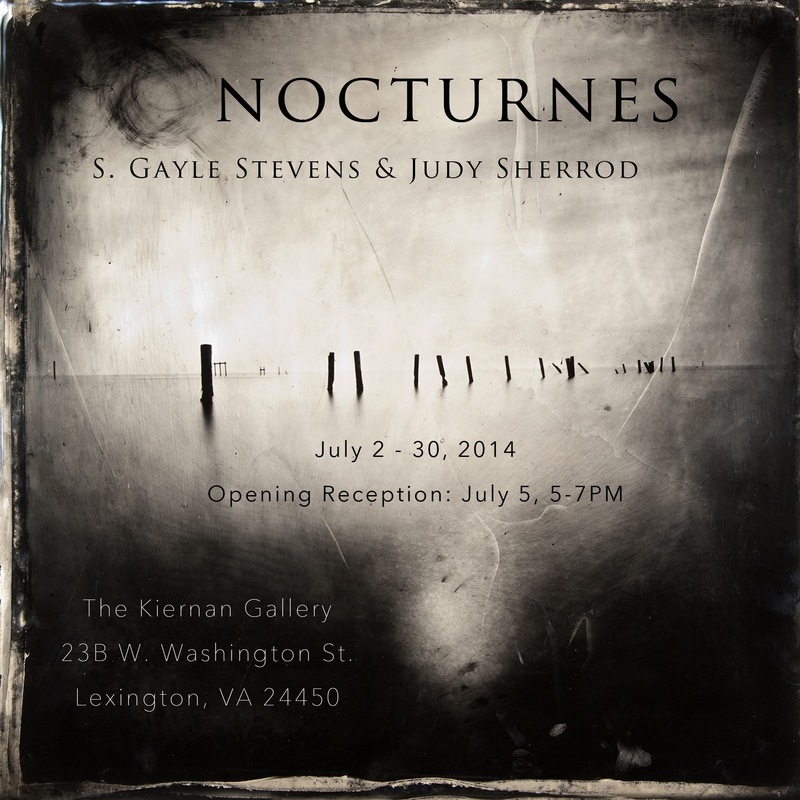 This weekend (July 5) is the opening of the Portfolio Showcase 2014 at the Kiernan Gallery in Lexington VA. Thank you to Kat Kiernan and Gordon Stettinius for this honor. 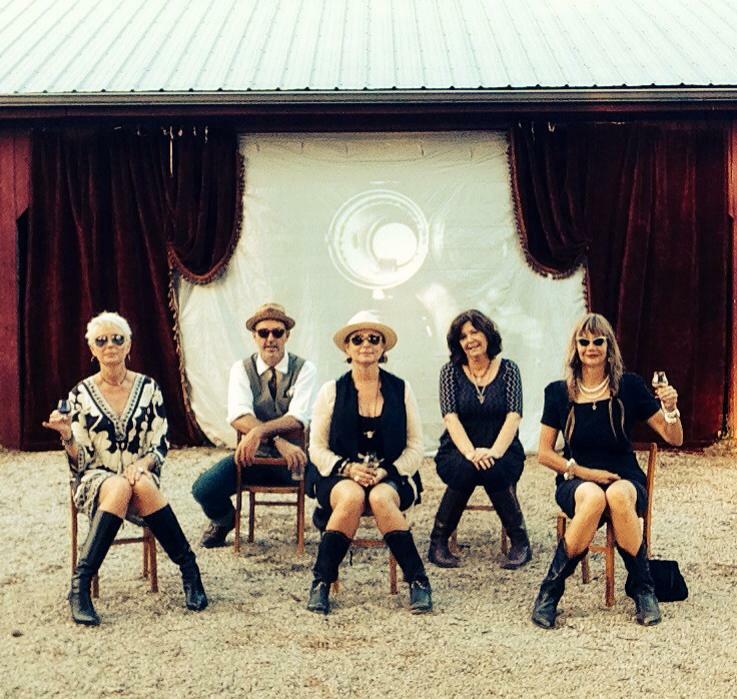 photo courtesy Catherine Couturier Gallery. I am excited to announce that I am now represented by Gallery Kayafas in Boston, MA. 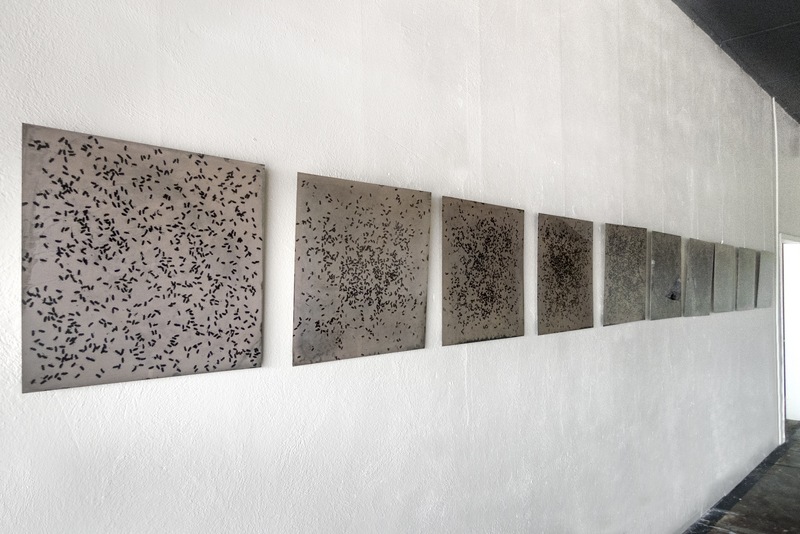 I am excited to announce that Fraction Magazine has purchased 4 plates from my Calligraphy series. 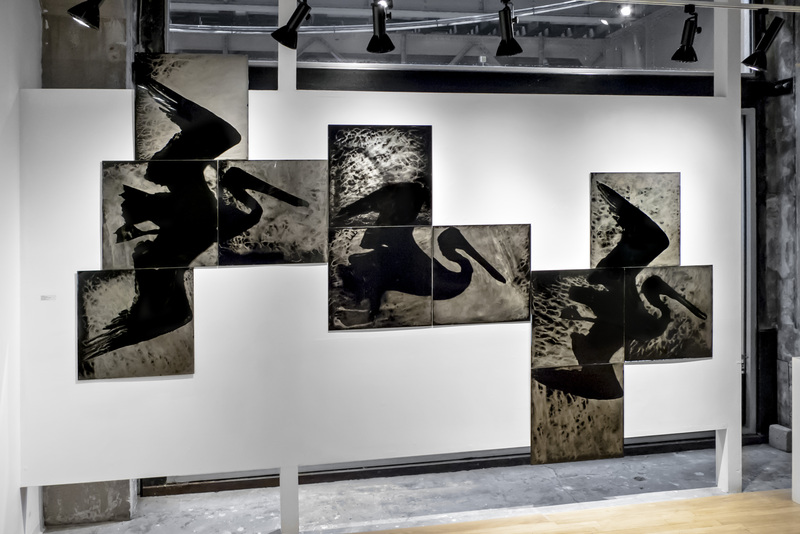 From the press release, The purchases were made possible by the Fraction Acquisition Fund, and the photographs have been donated to the University of New Mexico Art Museum. 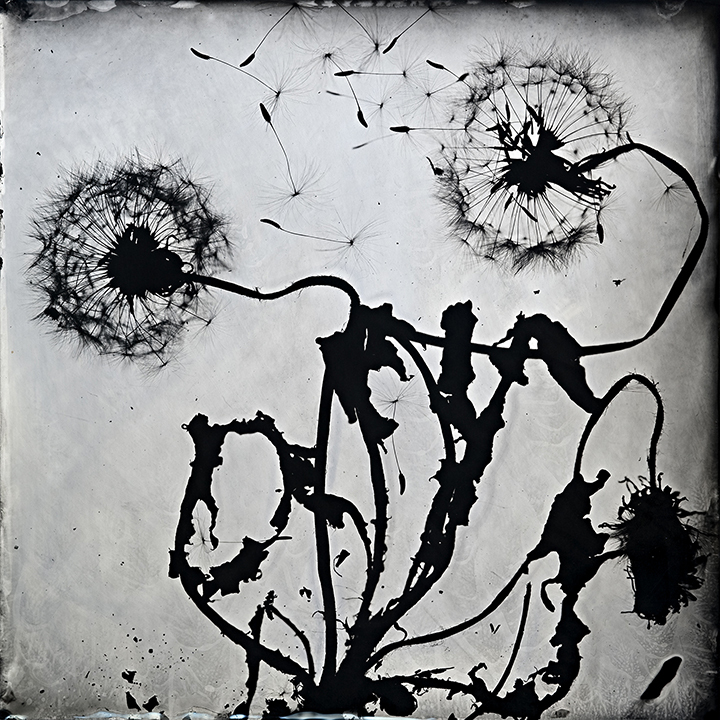 My chemitypes are an Editors' Pick on LensCulture. I am showing a small version of my new piece, flight, at Schneider Gallery in Chicago. 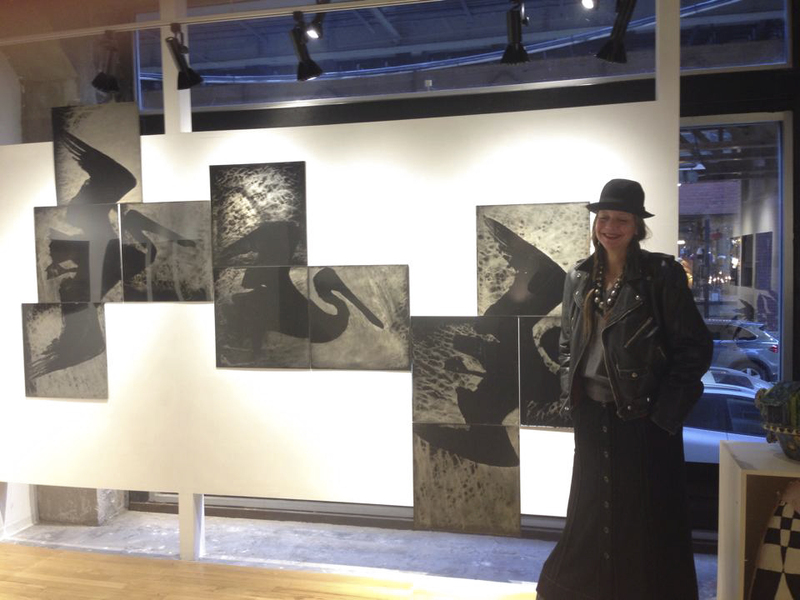 Image at the opening courtesy of my friend Bill Vacarro. disappearance at the Griffin Museum was a great sucess! 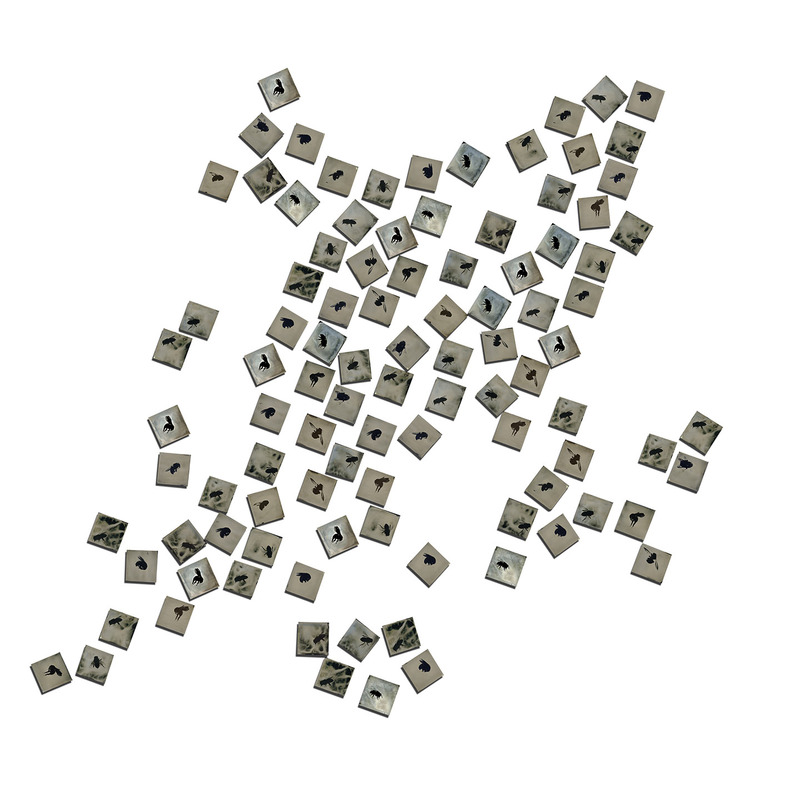 All 100 bees "disappeared" during the installation! kite was choosen to be in the Without Glass exhibition at the Kiernan Gallery curated by Kat Kiernan and Christa Kreeger Bowden. 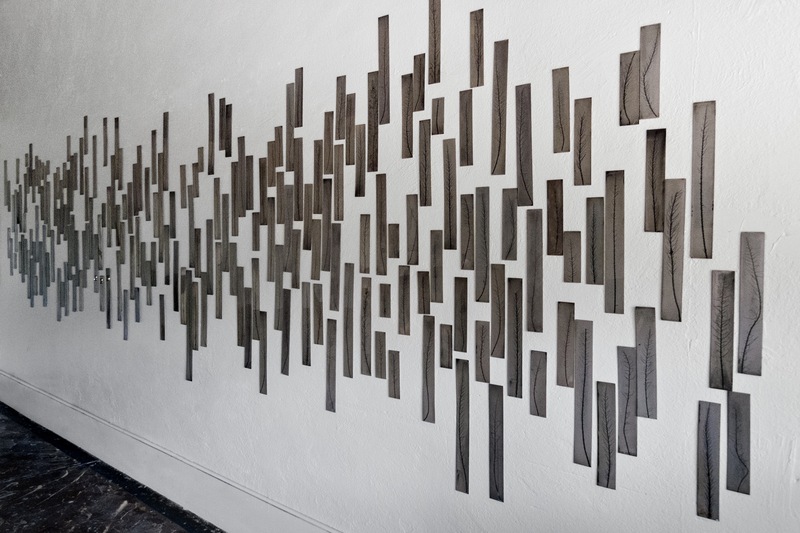 Kite will be seen at Art Santa Fe in the Alibi Fine Art stand, thank you Lisa Janes! 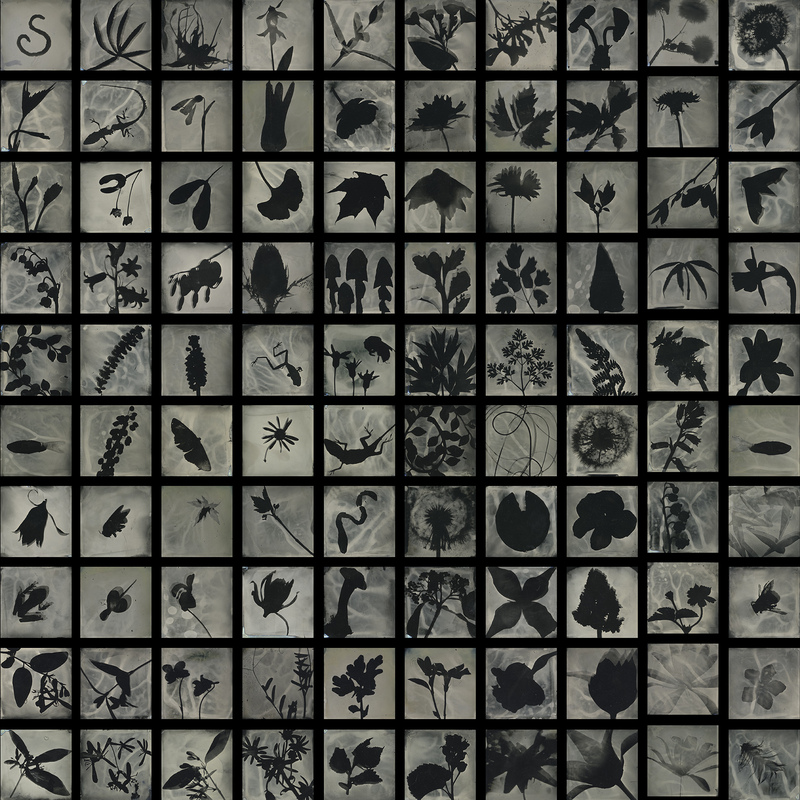 On view now through August 29, there are 199 plates! 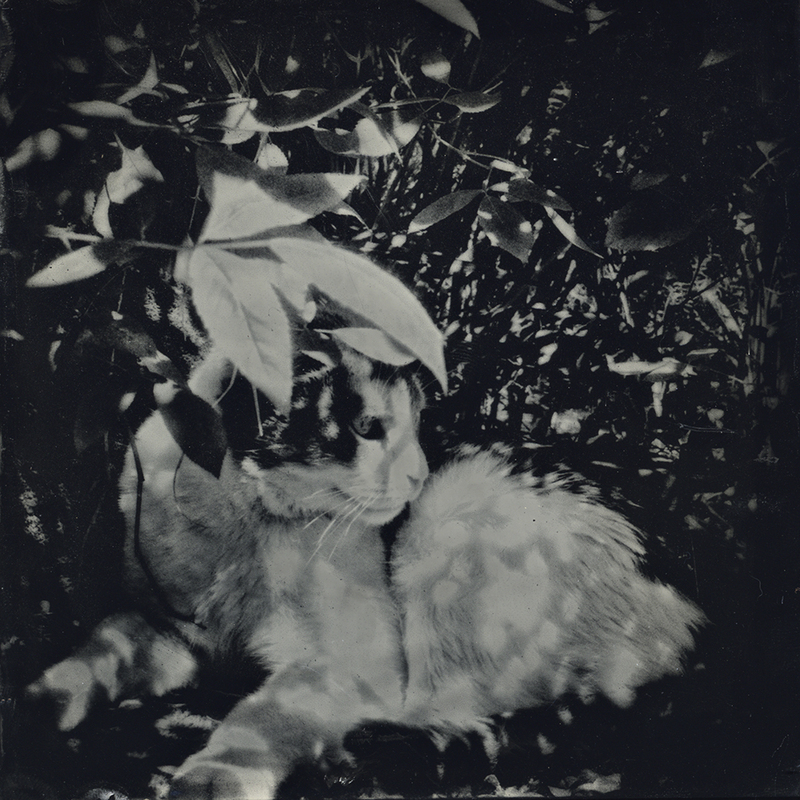 My Holga work is featured on Toy Camera. I am honored to be a part of this beautiful book by Luna Press. An impressive group of photographers many of them my friends. 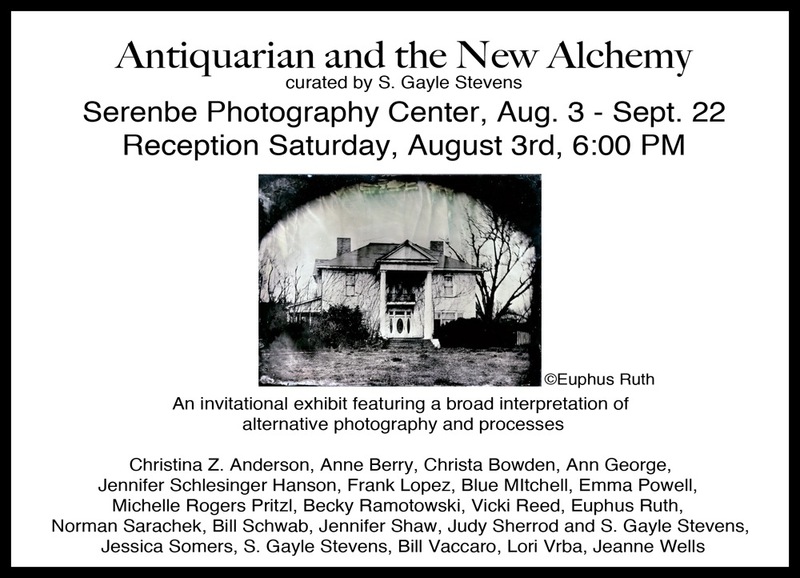 Antiquarian and the New Alchemy, a show I curated at the Serenbe Photography Center opened on August 3rd to great crowds. 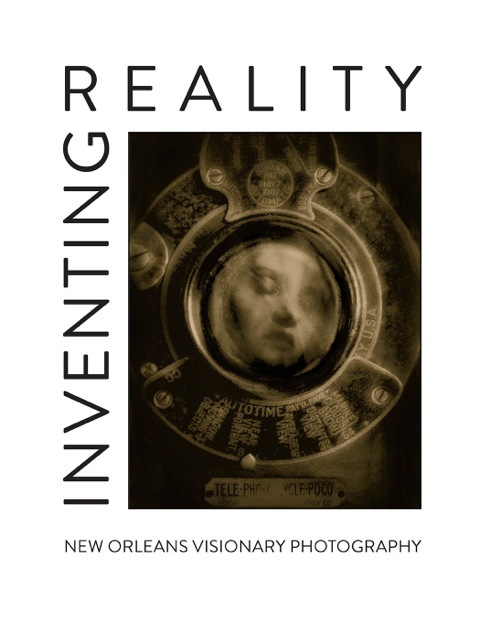 The exhibit will be open through the beginning of Slow Exposures. I am honored to have my image Cups in Through The Ages: 100 Years of RAM. Cups is part of the permanent collection of the Rockford Art Museum. 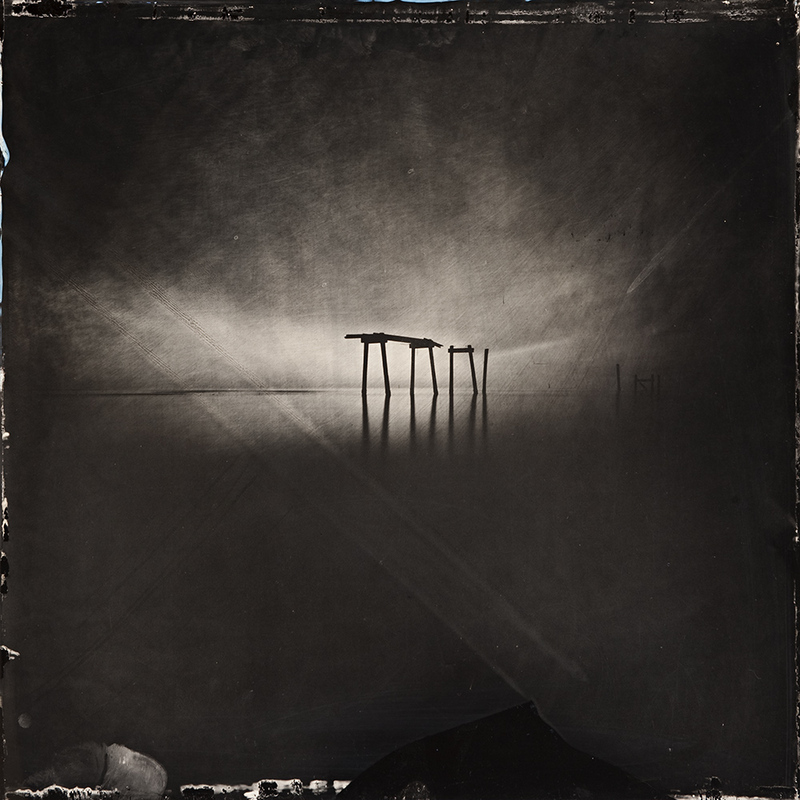 This September I will be teaching a wet plate Holga workshop at Slow Exposures in Pike County Georgia, it is sold out but there is a waiting list. 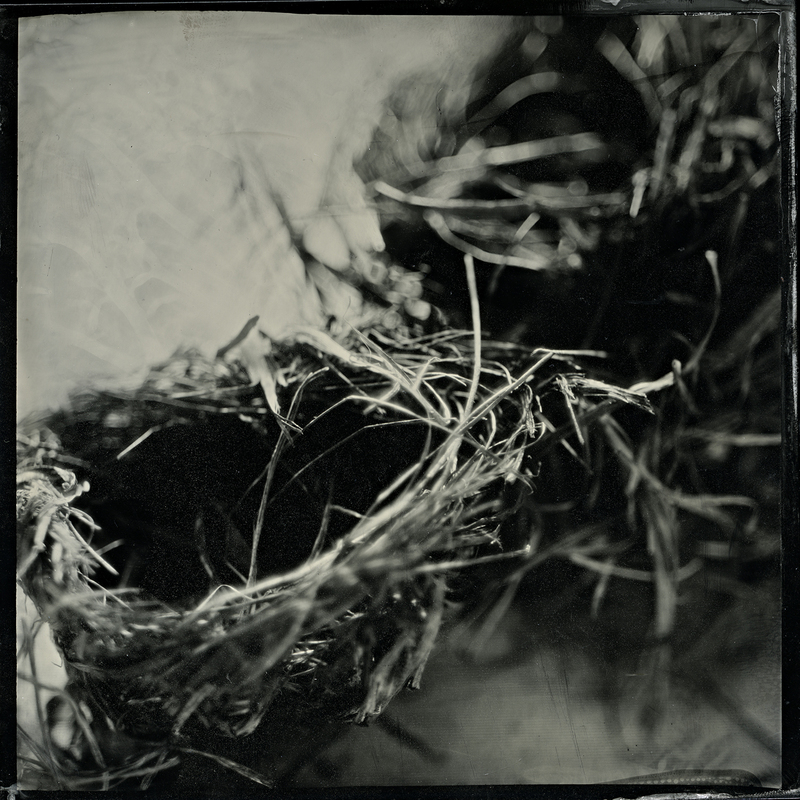 I will have work in the Fins, Fur, Feathers and Foliage show curated by John A. Bennette at Slow Exposures. 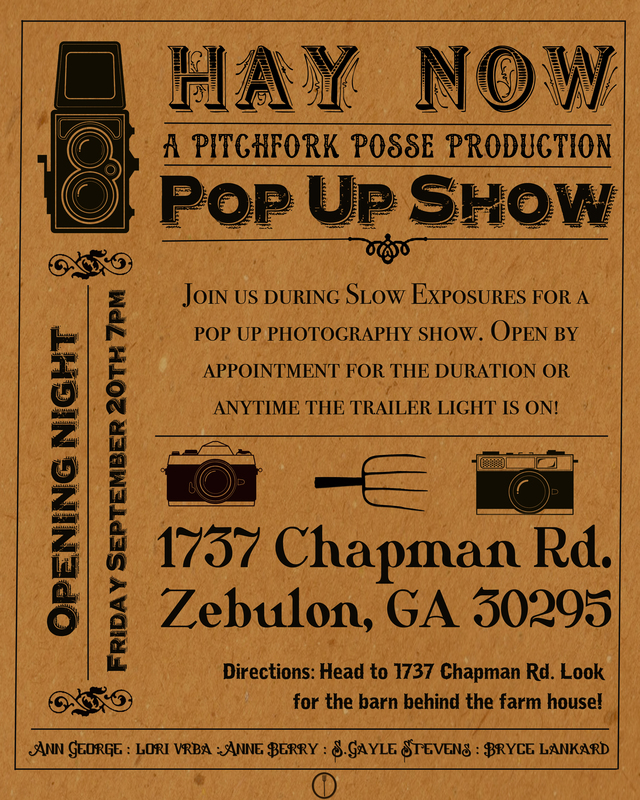 Join us at our pop up show in the Barn! And see the incredible work of the other Possee members. 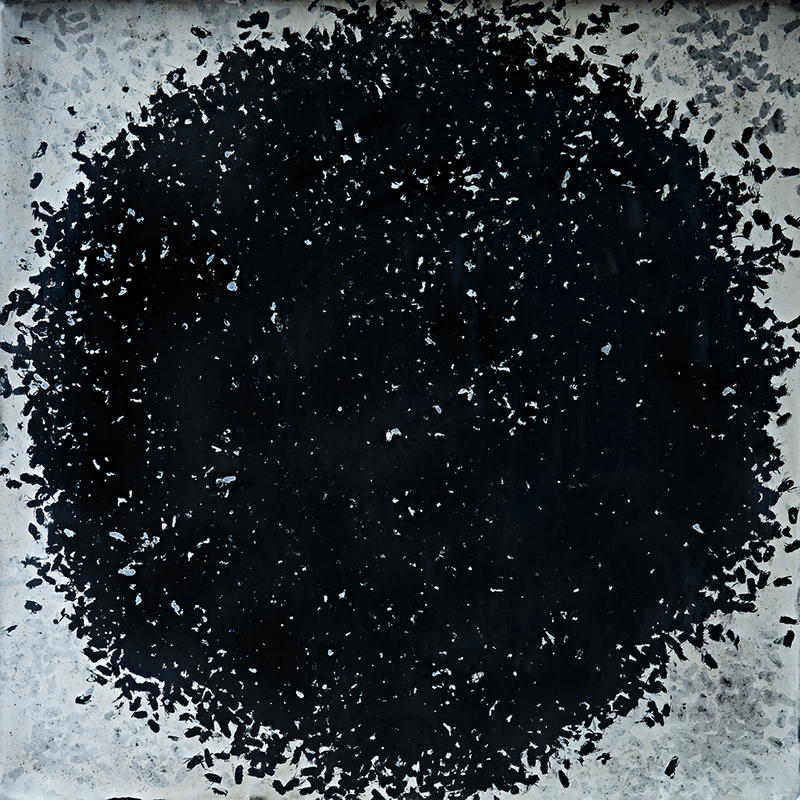 Lori has an opening at Catherine Couturier Gallery opening March 29. October 18th I will be Speaking at SPE Southeast in Charlotte, North Carolina, Mad Hatters to Pixel Pushers, S. Gayle Stevens: Breaking the Rules. In November I will be exhibiting at the Lishui Photography Festival, Unconventional Photography. There are only 10 copies left of my book! 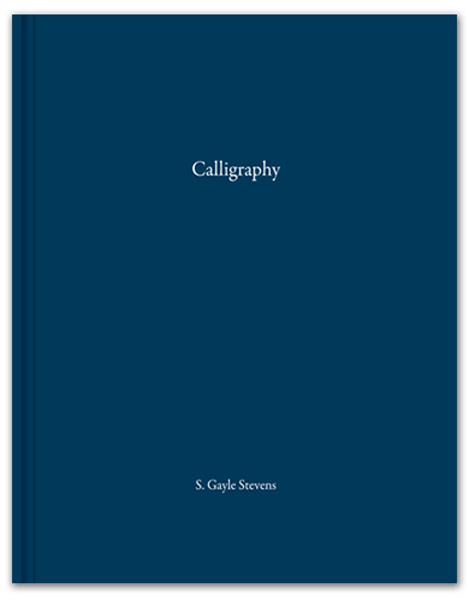 Calligraphy is now available for purchase from North Light Press or on my site. It is book number 8 in the 11 + 1 series of limited edition artist books. 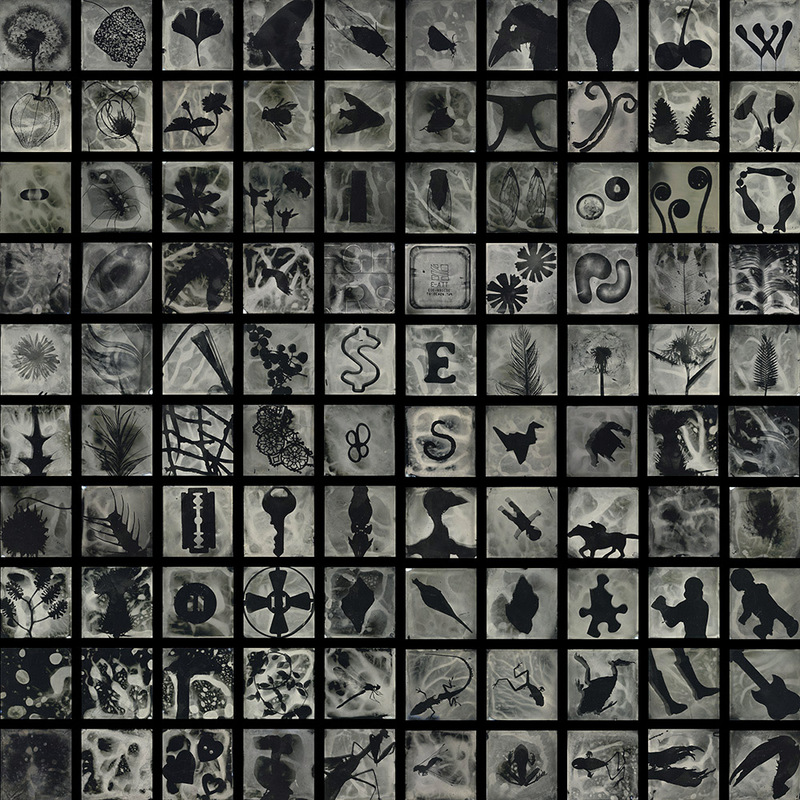 Each book contains a unique wet plate image from the above piece which was created for the book. 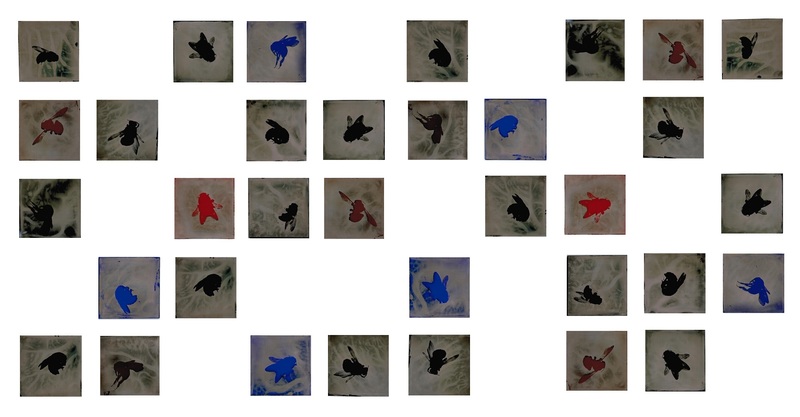 The piece, calligraphy 11+1 only exists online and when all 100 patrons are together. The book has 11 reproductions in four color and one unique plate. Each book is signed and numbered by me. I am so very honored to have such a beautiful book published by Bill Schwab and I would like to thank Bill and the many supporters who have purchased Calligraphy. Don't Take Pictures has a review of Calligraphy by Pam Gilmer on page 38 of their first issue. The magazine is published by the Kiernan Gallery. Here is the link on MagCloud. 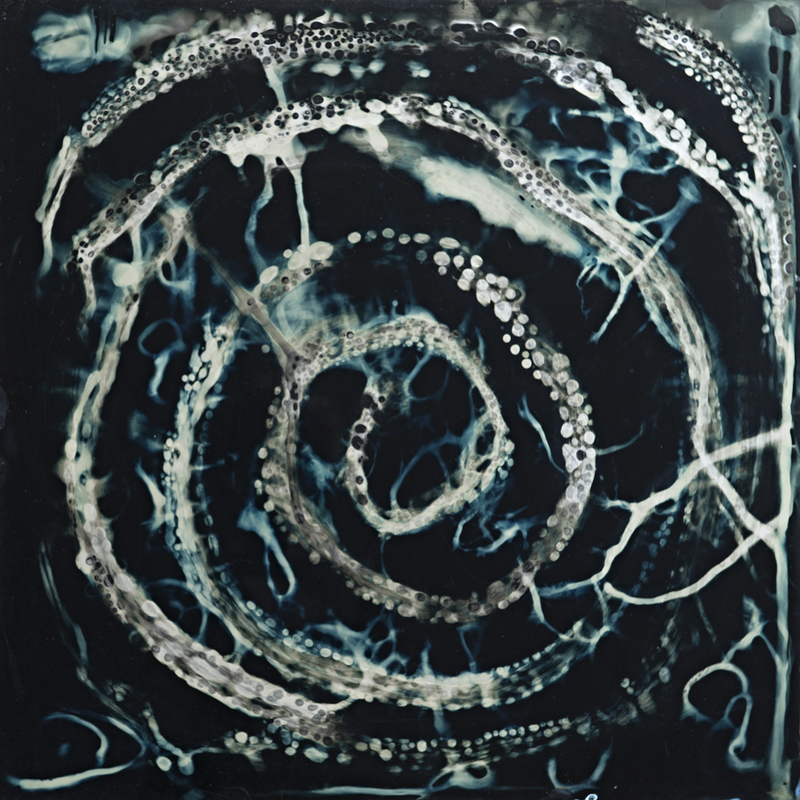 Judy Sherrod and I are collaborating on a series titled, Nocturnes. This is our blog. We have had tremendous success with this series which we started a little over a year ago. 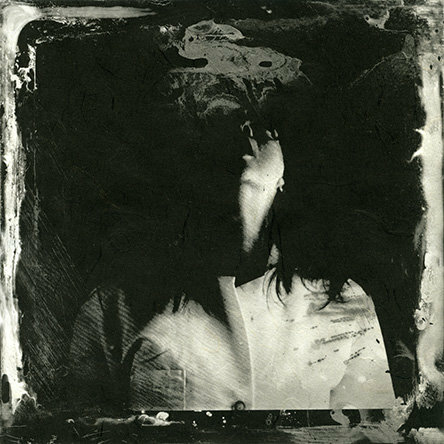 Our collaboration has yielded publication in South by Southeast magazine, Lenscratch, and will be included in the next edition of Christopher James, The Book of Alternative Photographic Processes. 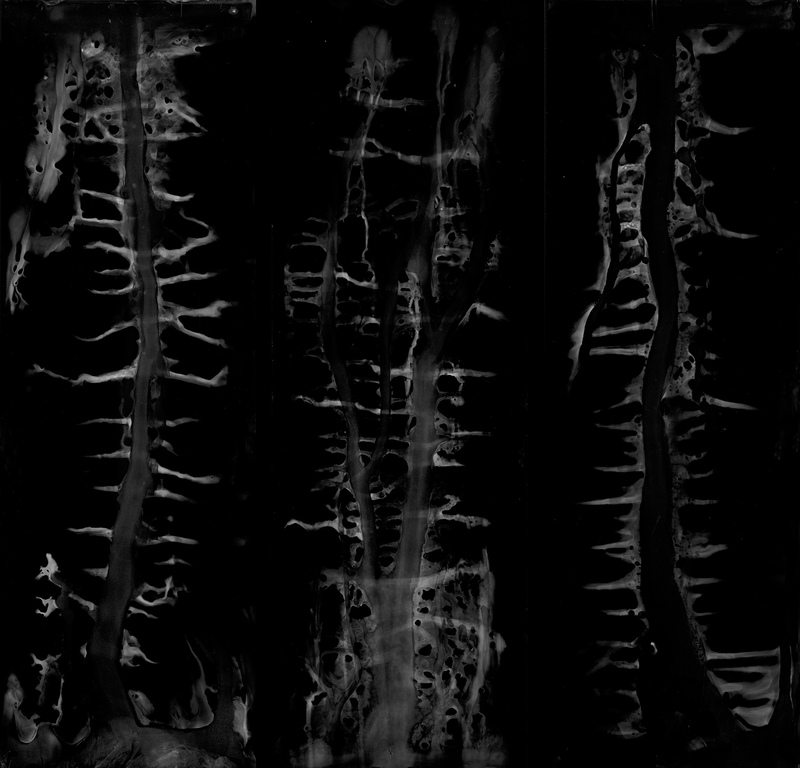 Exhibitions include: Alternative Processes at the Center for Fine Art Photography in Ft Collins where we were awarded Both Director’s and Juror’s Honorable Mention, Finalist in Critical Mass, Beheld at Homespace Gallery, Call and Response at New Orleans Photo Alliance Gallery, Center Forward, V at Homespace, Currents 2012 at the Ogden Museum of Southern Art, After - Light at Powell's and many more. 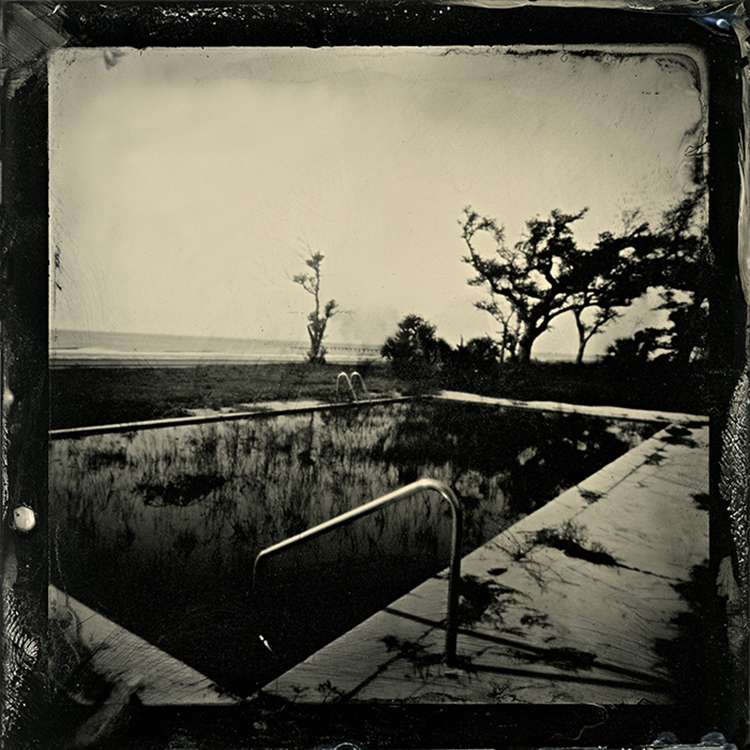 Over the course of a year we have shot 49, twenty by twenty inch pinhole tintypes of the gulf. We will be attending the PhotoNola and the Fotofest Reviews. 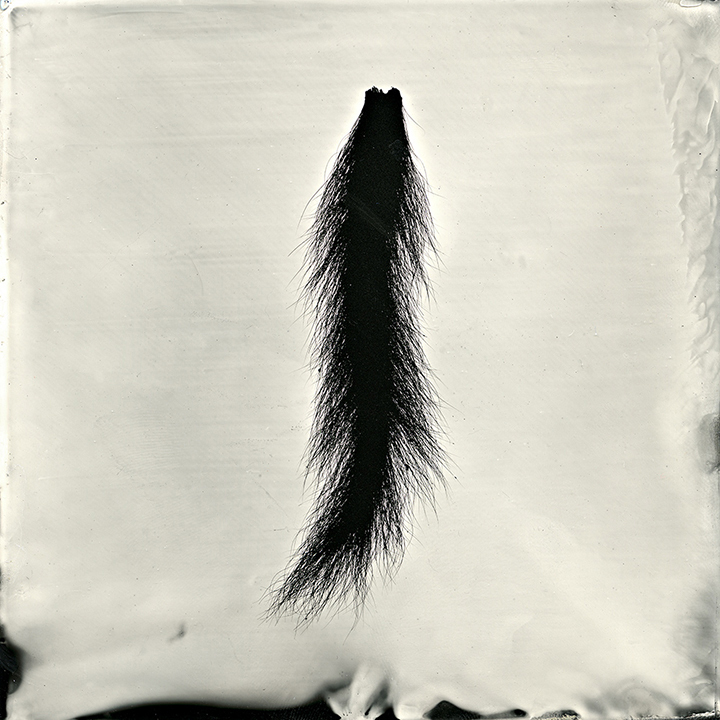 We will be exhibiting Nocturnes at the SRO Photo Gallery in Lubbock, Texas in January. With more to come, keep watching! This is Charles, my cat and collaborator. 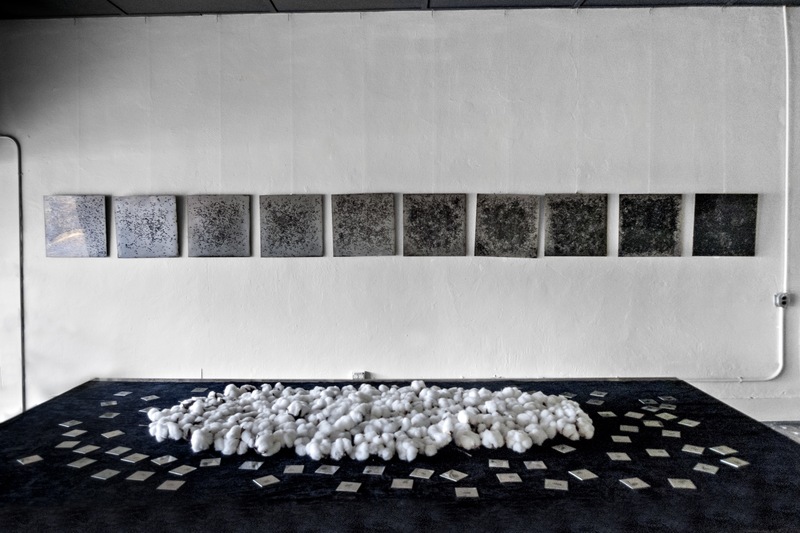 He has contributed quite a few specimens to the Calligraphy and Allegory series. He wants credit.